IT MAY not look like much yet but work has begun at the Queensland Touch Football Junior State Cup site. 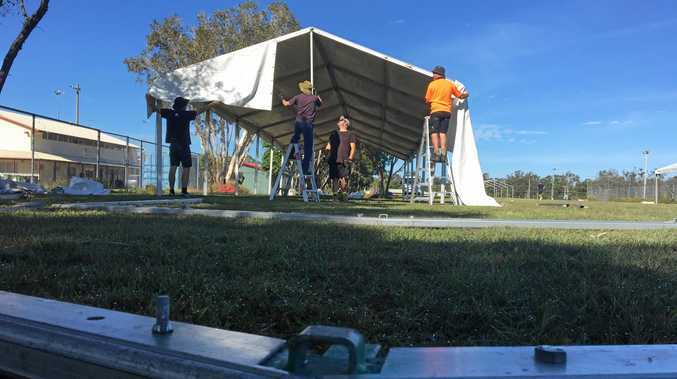 About 10 workers were installing marquees between the Hervey Bay Hockey's McFie Park and Stafford Park on Thursday morning, with more temporary infrastructure on the way. 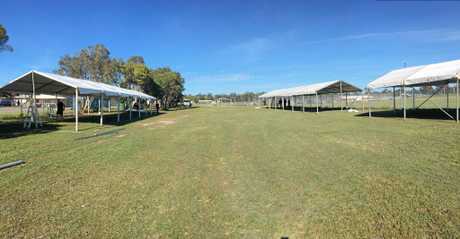 The marquees are the first visible changes to the Tavistock St fields, which will be overrun by more than 3500 touch football players from Tweed to Mackay, and as far west as Roma, next week. More than 7000 visitors are expected for the annual competition, which is the biggest event on the Queensland Touch calendar, though events councillor Darren Everard said some families have already arrived. Qld Touch Junior State Cup 2017 pre-event walkthrough: A very quick timelapse of Hervey Bay's Tavistock St fields ahead of the Junior State Cup. It will be the seventh time the Junior State Cup is held in Hervey Bay. The event injects millions to the local economy each year.